Abhi Patwardhan, Founder & CTO Dylan St. John-Foster Founder & CEO The founders of Gist Digital started the company with a mission of guiding clients through the constantly evolving web development landscape, which can be perilous to navigate quickly. “Breaking down the process early on, iterating quickly and learning through constant qualification is key to being successful,” says Dylan St. John-Foster, Founder and CEO of Gist Digital, a notion that started with the early stages of their company. "Every time we fell, we dusted ourselves off, got up and surged ahead." Tracing the inception of Gist, Dylan glances back to the time when he left his well-paid job and started his entrepreneurial voyage with Abhi Patwardhan, Founder and CTO of Gist. “Initially there were hiccups, but who doesn’t face the music when stepping into an arena where there are seasoned players?” Dylan says. Today, Gist's expertise in Mobile, Social, Cloud and Data, the technologies enabling digital transformation, positions them as a leading force in product design and development with high-profile clients who depended on their expertise and consistent ability to deliver results on time and on budget. One of Gist’s clients, a leading single specialty anesthesia and perioperative management company in the U.S. wanted to help its clinicians transform from paper records to a cloud based application. “Working with their client made Gist realize that there was a dearth in the market for creators and advisors in innovative technologies who could guide customers on the right path and not just pocket their money,” says Dylan. 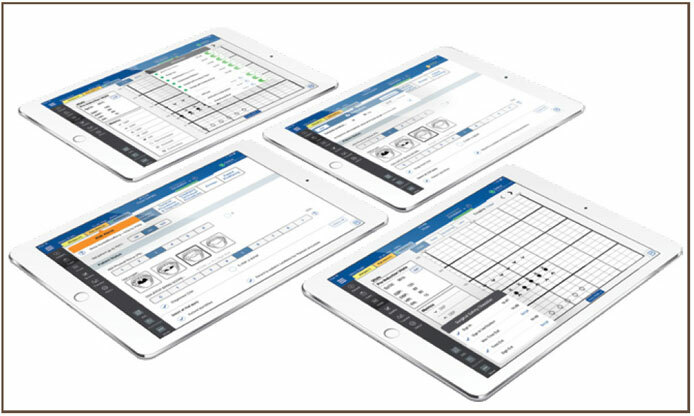 Gist closely aligned with their client over a period of five months to assess the challenge, and then Gist steered the project with seasoned technical and design expertise and developed a custom solution to digitize the entire workflow—using iPads as the physician-facing hardware device. 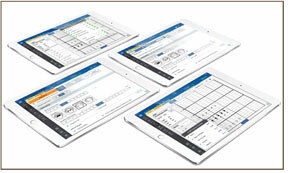 As the leading specialty anesthesia management firms in the U.S., partnering with hospitals, ambulatory surgery centers, and physician offices to provide anesthesia services and perioperative leadership that enhance operating room performance, revenue, and patient and surgeon satisfaction, is now rolling out a seamless digital workflow from case registry to billing. “This was a challenging project with no clear boundaries on workflows or any mandates around points where a workflow could start and end. This led to a very intense phase of analysis—a point where it was clear that prototyping several aspects of the application was the only way to understand how the application could flow from start to end,” says Patwardhan, who led engineering on the project. The research included spending time in the operating room, observing how providers take care of patients while simultaneously documenting cases. “We could see that there was no real-time compliance alert and the incomplete anesthesia records were piling up. The application resulted in a complete patient encounter history, patient status, risk alerts, and allergy information system which their client is using to surge ahead in its patient care journey. “The amount of dedication and tenacity we put in this project has given us immense experience to create a strong foundation, which helped us yield great results for the days to come,” asserts Patwardhan. As a team of strategists, designers, and developers, Gist believes that developing large-scale, data driven applications is no piece of cake and requires a significant degree for experience to build something that will enhance a firm’s productivity. "Gist Digital is your change engine, an experienced team to help you plan, build and roll out solutions to transform ahead of your competition"
2016 has been a year where Gist has built a strong foundation for themselves, creating a solid foothold for the years to come—armed with a strong belief that they have the power to add tremendous value to medium sized organizations and offer a holistic view to the challenges which can be transformed into unique solutions. According to Dylan, security and compliance is a big challenge that confronts organizations of all sizes in migrating or building applications in the cloud. In the case of Gist’s healthcare client, standing up our infrastructure in the cloud was daunting and came with challenges. We could only use services that were compliant with HIPAA and would support the encryption technology and auditing necessary to secure data in flight and at rest. We secured the infrastructure to a VPC to ensure restricted communications for hosts. We ensured that all communications between services are via a secure channel. We accounted for automated backups and redundancy and placed a system for auditing of services. We built a comprehensive system of audit logs on all client and server side applications. While many of their competitors in the market are promoting an agile approach to development “we see few truly adopting this methodology” adds Dylan. Gist follows a rapid development methodology they’ve refined with every project. “For rapid development to work well, we work hand in hand with our clients and break down the process early on,” says Dylan. Gist has developed a workflow continuum to help them identify where a project is in the rapid design and development process which allows Gist to adapt to the needs of their clients fast. Their belief is firmly rooted in driving rapid results using Gist’s continuum to get to production fast. They explore their clients needs utilizing a consultative approach without the consultant fees and time lag. They then embrace an iterative process, constantly testing as they design and build which enables their clients to experience the results of what they call rapid transformation.